The year 2014—with the planned conceptual design reviews of five Test Blanket Systems out of six—represents the beginning of a new phase for the TBM Program as it leaves behind pure scientific research for nuclear engineering and realization. 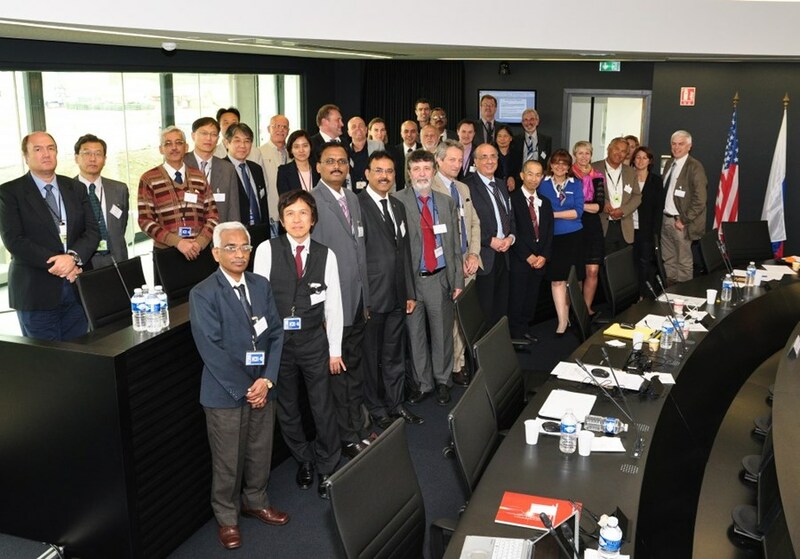 The eleventh meeting of the ITER Council Test Blanket Module (TBM) Program Committee took place on 21-23 of May in the Council Chamber of ITER Headquarters. The TBM Program Committee meets twice a year to review the implementation of the TBM program, including the ITER Members' Test Blanket Systems and the ITER Organization's TBM integration activities. 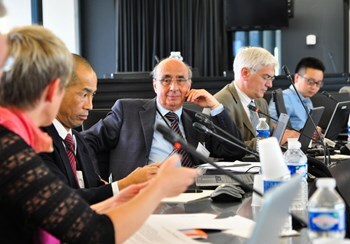 Typical standing items at each meeting include the status of the TBM-related activities within the ITER Organization, TBM design and R&D progress within the ITER Members, and the status of corresponding milestones. During the eleventh meeting, good progress was reported by the TBM Leaders, who hold the responsibility for specific Test Blanket Systems. Design development is progressing in view of upcoming conceptual design reviews for each system, and design activities under ITER Organization responsibility—for TBM port cell components and specific maintenance tools and equipment—are advancing. Twice a year, the TBM Program Committee reviews TBM-related activities within the ITER Organization, TBM design and R&D progress within the ITER Members, and the status of corresponding milestones. The first component delivery associated with the TBM Program is expected in 2017 and will concern Test Blanket System connection pipes, which will connect the components located in the TBM equatorial port cell to the components located in other rooms of the Tokamak Complex via the corresponding shaft and/or corridor. With the conceptual design review planned for September 2014, the eleventh TBM Program Committee assessed the readiness of the design. The Committee also took note of the status of the activities of the Test Blanket Program Working Group on Radwaste Management. This working group is charged with the elaboration of a potential strategy for the management of TBS radwaste and for the shipping of irradiated TBMs to Members' facilities for post-irradiation examinations. The TBM Program Committee has assessed the data on radwaste furnished by the ITER Members and on the radwaste management proposals of Agence Iter France. One of the major issues identified to date is the need for an assessment of the amount of tritium remaining in the waste and of the corresponding outgassing. On 23 May, the ITER Organization and the Korean Domestic Agency signed the second TBM Arrangement of the program for the design, fabrication, transport and delivery of a helium-cooled ceramic reflector Test Blanket System. Four other TBMAs are expected to be signed before the end of the year. In fact the year 2014, with the planned conceptual design reviews of five Test Blanket Systems out of six, represents the beginning of a new phase for the TBM Program, which is passing from pure scientific research to nuclear engineering and realization. This aspect was stressed by the TBM Program Committee as it focused the discussion on the preparation of documentation for the various conceptual design reviews. Reaching this phase has been made possible by the conclusion of TBM Arrangements (TBMA), which express the commitment of both ITER Members and the ITER Organization to the realization of the TBM Program. 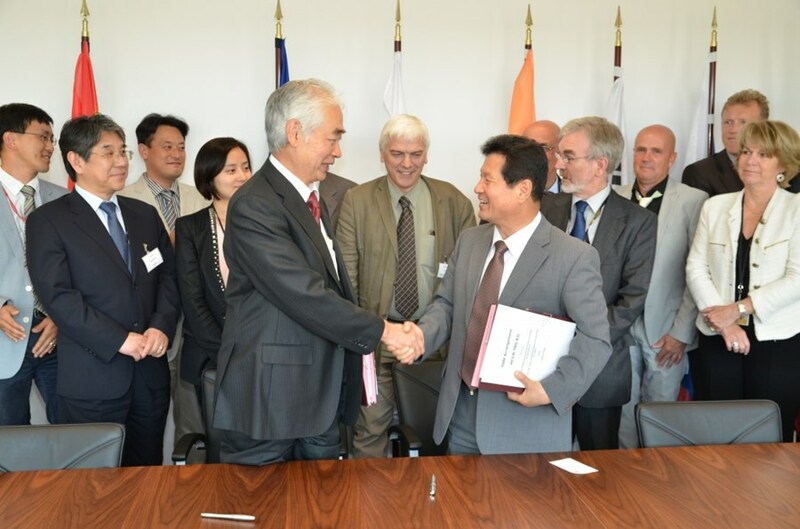 During this eleventh Program Committee meeting, a second TBMA was signed between ITER Organization and the Korean Domestic Agency for the design, fabrication, transport and delivery of a helium-cooled ceramic reflector Test Blanket System to the ITER site by 2021. The remaining four TBMAs are expected to be signed before the end of the year. 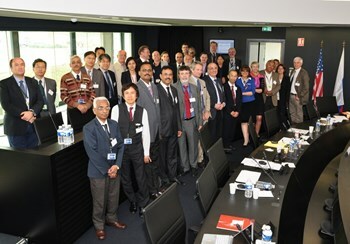 The outcome of the eleventh TBM Program Committee will reported to the ITER Council in June.